Moissanite isn’t an artiﬁcial diamond. Diamond is composed of pure carbon, while moissanite is made of silicon carbide. These two gems look similar, and moissanite shares many of the diamond’s best traits (like extreme toughness and clarity) but there are areas where moissanite shines brighter than its famous cousin. Moissanite is nearly identical to both lab-grown and earth-mined diamonds, but is available at a far more affordable price point. 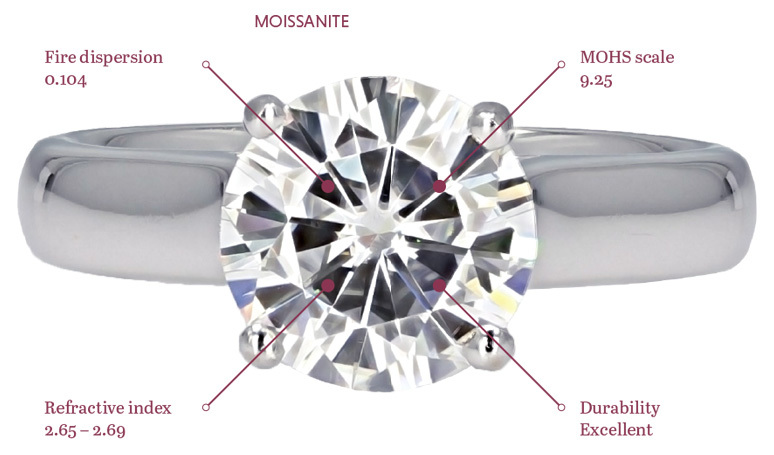 Moissanite has a higher refractive index than diamond, and it exhibits nearly twice as much fire under direct light. Our moissanite is made in an environmentally and ethically responsible lab, so you can be sure your gem is 100% sustainably sourced and conﬂict-free. A moissanite is a lab-created gemstone, known best as an alternative for diamonds. Moissanites are made of silicon carbide, and have a hardness and light-refracting characteristic that is very similar to a diamond. Moissanites are NOT simulated diamonds. Diamonds are made of a carbon crystal, while moissanites are silicon carbide. Moissanites are lab-created gemstones that have a hardness and light-refracting characteristic that is very similar to a diamond. No. 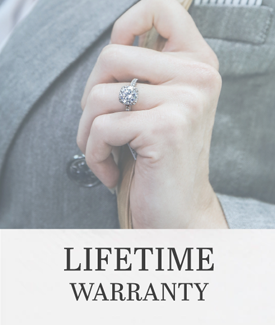 Should brilliance, fire or color tone ever change, bring your moissanite to Icing On The Ring to have it replaced under Charles & Colvard's Limited Lifetime Warranty. How strong is the Moissanite gem? Moissanites have a hardness that is 95% as hard as a diamond, making them highly suitable for daily wear, engagement ring and anniversary ring applications. 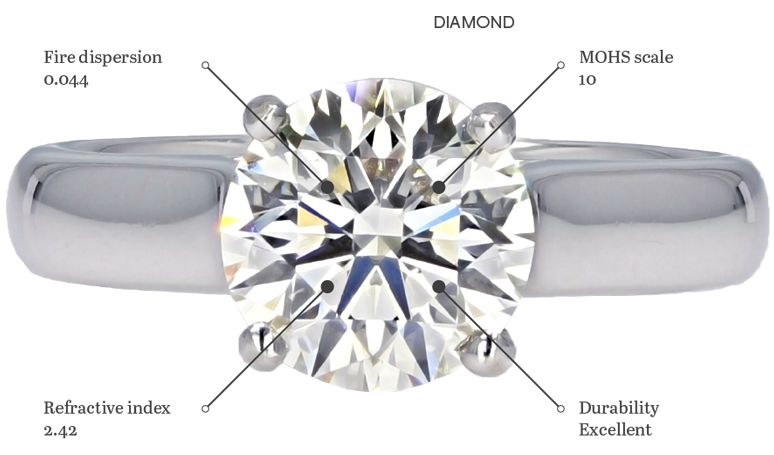 Why is Moissanite sold by millimeter rather than by scale? Although the value of precious gemstones is partly based on their weight, this valuation method does not apply to moissanites. Because moissanites are lab-created, rarity-based valuations no longer apply. Instead, value is based on the cost of technology and energy consumption required to grow the moissanite crystal. Because moissanites are not diamonds, GIA diamond grading scales do not apply. However, Charles & Colvard produces 2 color classes of moissanites, - Forever One Colorless and Forever Brilliant Near Colorless. Forever One resembles D-F color diamonds, and is suitable for platinum and white gold jewelry; while Forever Brilliant resembles H-J color diamonds, and is best for yellow or rose gold jewelry. 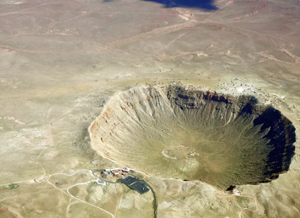 What Henri initially mistook for a diamond was actually a new mineral, composed of silicon carbide. 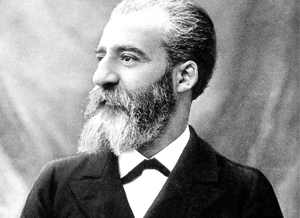 It was named Moissanite after its discoverer. Naturally occurring moissanite is extraordinarily rare. 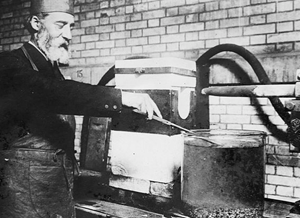 Fortunately, over 100 years after its discovery, researchers perfected a process for creating moissanite in a laboratory setting. Today, it’s possible to purchase beautiful moissanite, one of the galaxy’s most fascinating gems - affordably, and under the guidance of jewelry professionals. All Icing On The Ring moissanites are supplied by Charles & Colvard. These gems are produced under strict environmental and ethical standards, and are backed by the company’s lifetime warranty. Should color or brilliance ever deteriorate, Charles & Colvard will replace your stone for free.